Steve started his career in financial services in the Redding California area in November of 1978 with a retirement specialty company known as VALIC. Over the next 26 years VALIC grew to become a 55 billion dollar retirement specialty firm, headquartered out of Houston, Texas. Steven started at VALIC as a financial consultant specializing in helping individuals manage their investments for retirement. In 1983 he was promoted and moved to the San Francisco Bay Area. Over the next 23 years Steve held positions of District Manager, Director of Training, Regional Manager, Division Manager and ended his career in 2004 as a Vice President and National Sales Manager. Steve also co-authored a number of financial and investment publications. In 2005 Steve left VALIC and returned to Northern California. He returned to financial services in November of 2006 as an independent advisor with LPL Financial and FWM. In August of 2012 Steve opened his own office in Redding California, and a year later formed a partnership with Rubicon Advisors. In an effort to expand the scope of services offered and to better serve their customers, Rubicon Advisors became a Registered Investment Advisory firm (RIA) as of March 2015. 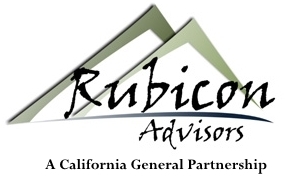 Rubicon Advisors (a California Partnership) has become a hybrid firm offering brokerage services through LPL Financial, and Advisory services through their own RIA and LPL. Rubicon Advisors has a branch office in Roseville, CA, along with the Redding Office, and is servicing clients throughout the US. Currently Rubicon Advisors manages over 159 million dollars in client assets within the RIA, its LPL brokerage business, and insurance related products. 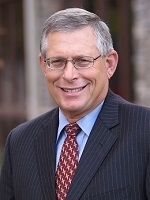 The Redding office is the Office of Supervisory Jurisdiction (OSJ) for the brokerage business offered through LPL Financial, and Steve Boero operates as the firm’s LPL Registered Principal and OSJ. On the RIA side Steve is the company’s Chief Compliance Officer, and a managing partner.